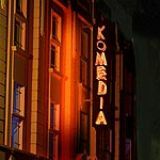 Presenting a large and diverse arts and entertainment programme, Komedia features international and national performers, and also plays host to a unique range of Komedia-grown resident shows. 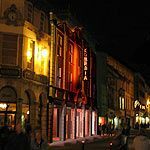 Do you work at Komedia Bath? Dependent on show, please check with the venue. Age restrictions apply according to event. Under 16s need to be accompanied by at least one responsible adult. Certain events are 18+ only. 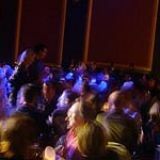 What did you think of Komedia Bath? I have heard that Duffy is going to be here so i iwll definitly be attending. Our overall experience was what a fab night and we have raved about it to friends and family. I have my birthday at the end of April, I am going to organise a visit to Komedia again to celebrate. Service was great and very attentive to our needs. Clubnight 'RockIt!' is 'Guardian Guide', 'Pick of the Week', top retro 50s rock'n'roll, 60s garage, 70s punk. Great place to see and be seen, wear your best threads! Live Burlesque Floorshow at Midnight! Groovy, baby! Big Screen B-Movies! 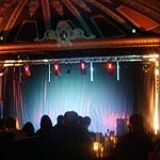 Komedia, Bath is the grandest venue in town. It feels great strolling off Westgate Street through the New York Art Gallery plate glass lobby and into this beautiful art-deco gem. We dressed up for Kroon Kat Lounge, billed as 'a whole lot of 50s Las Vegas', it didn't disappoint. The houseband were superb, their full brass section blowing up a storm in classics by Sinatra (Fly me to the Moon), Nina Simone (My Baby Just Cares for Me), Billie Holliday and Louis Jordan. It was brilliant to hear these classic tunes done justice by an outstanding band. A succession of singers took the stage in this quickly moving cabaret. I laughed till I cried at the antics of hilarious clown Fraser Hooper. It was a brilliant evening of traditional bigband entertainment given a twist by the quirky eccentricty of some of the acts and the wit of hostess Miss Nicky Mitchell. A sophisticated and glamourous big night out of live swingjazz. We came in a big party of all ages to celebrate a birthday and everyone 18-80 had a ball! Thanks also to Komedia staff who were delightful, even the bouncers were charming! This is a lovely place for an evening out!